Western Australia is a nature lover’s paradise, but humans are not the only creatures who flock to the western state to soak up the sun and take in the sweeping natural landscapes. There is also a spectacular population of animals who call the state home. Throughout the state, you’ll get to meet some animals you won’t get to see anywhere else, from spotting dolphins daily in Monkey Mia, to meeting theendangered quokka inRottnest Island. Here is your guide to the fauna who like to flock to WA. As well as being a go-to destination for tourists wanting to get back to nature, Monkey Mia is a hot spot for the dolphins who visit on a daily basis. It is said up-to a dozen dolphins choose to swim up to the foreshore and greet the watchful crowd at least three times throughout the day. The area became a marine reserve about three decades ago, meaning these beautiful marine creatures are protected by dedicated rangers who also provide lessons on preserving the species. Rottnest Island is a self-contained natural wonderland that is a 40-minute ferry ride off Perth’s coast. At a tiny 19 square kilometres, it may seem from the outset that the island will be thronging with tourists, but not so: the myriad secluded beaches and hidden outcrops provide plenty of locations in which to unwind. 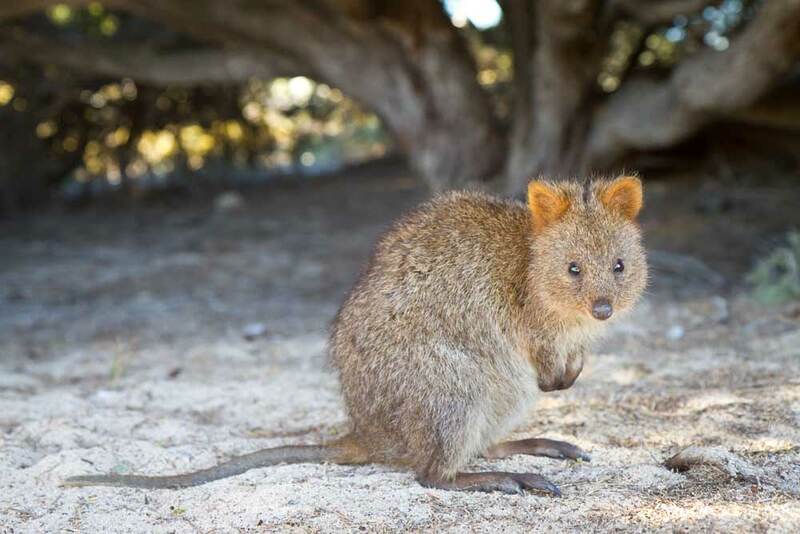 The island is most famous for its population of quokkas: a friendly bunch of tiny marsupials that are native to Rottnest. Outside of the island, it’s difficult to find these animals anywhere else but, on Rottnest, they’re a thriving population ready to meet the tourists who travel to meet them each year. Australia’s northern waters are infamous for their supply of crocodiles: primeval river-dwelling creatures who provide a truly unique experience when they’re spotted. In Western Australia, you can chance a site of these scaly crocs at Windjana Gorge National Park and Derby Jetty - two spots towards the very north of the state where crocodiles flock. And, although they look slightly monstrous, these creatures will rarely cause harm, as long as they are treated with respect.